Arnold August holds a Masters in political science from McGill University, Montreal. The Montreal-based author, journalist and lecturer is the author of Democracy in Cuba and the 1997–98 Elections (Editorial José Martí, Havana, 1999). 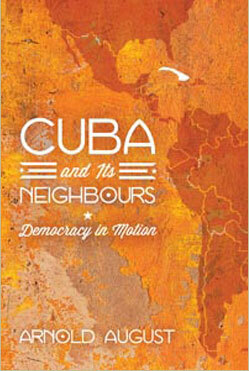 He has also contributed a chapter entitled “Socialism and Elections” to the edited collection Cuban Socialism in a New Century (University Press of Florida, 2004, Contemporary Cuba series edited by John Kirk). 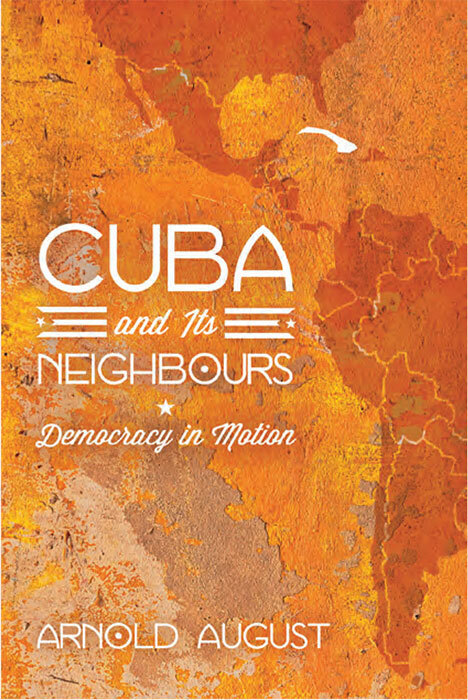 In 2013 Cuba and Its Neighbours: Democracy in Motion was co-published in English by Zed Books (UK) and Fernwood Publishing (Canada), distributed in the U.S. by Palgrave Macmillan. The countries under consideration: U.S., Venezuela, Bolivia, Ecuador and Cuba. The common thread is participatory democracy. In 2014 the Spanish version was published in Cuba by Ciencias Sociales and released in the Korean language by a progressive South Korean publisher. 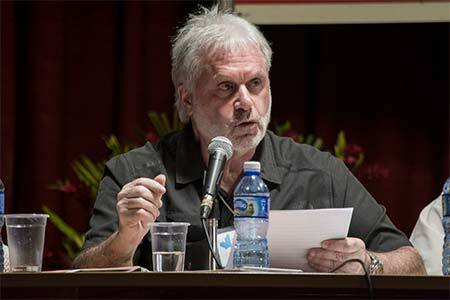 Between 2007 and 2013, as part of the opposition to ongoing media disinformation on current affairs, he wrote more than 50 articles on Cuba and Latin America published in many websites in the world, most of them both in English and Spanish and many in French as well. In the same period he accorded dozens of interviews with alternative radio programs in the U.S. and Canada. Since 1999, based on his books published in English, he has given conferences and lectures in universities in the U.S., Canada, Europe, Cuba and Puerto Rico. He is a member of the Latin American Studies Association (LASA, based in the U.S.), the Canadian Association for Latin American and Caribbean Studies (CALACS), and the Cuba Research Forum at the University of Nottingham (UK).